As automotive problems go, ice on the windshield isn’t exactly a disaster. If you're lucky, you keep your luxury vehicle in a warm garage, so the morning routine may not be an issue for you. But if you’re caught with a thick layer of ice at the end of a long work day, your vehicle exposed to the elements in a parking lot, it can definitely be a pain in the neck. So, what’s the quickest and safest method for clearing the ice away? It takes a few steps, but you can get on the road in just a few minutes. You might be tempted to grab your scraper right away, but getting the car started and hitting the defroster is the best approach. 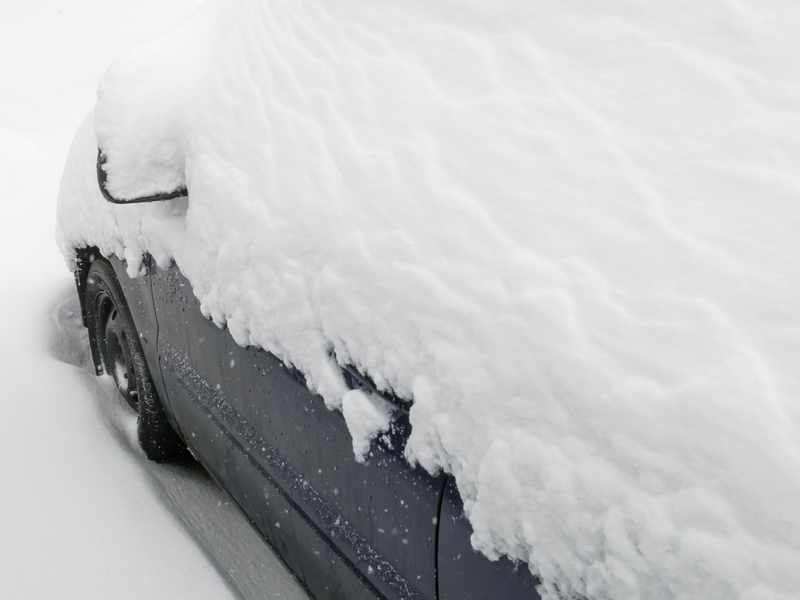 If your car has remote start, use that before even heading outside. Turn the heat up to the maximum, direct all the heat to the defrosters, and put the blower fan on the highest speed. Turn on your rear defroster as well. Crack the windows slightly for better air circulation. The warmer you can make it inside your car, the faster the ice will soften and melt. You’ll also want to do a quick walk around to make sure that the grille, other air intakes and the tailpipes are cleared of snow. If your air conditioner doesn't automatically activate when your defrosters are on, switch it on to reduce the humidity inside the car. This will clear the inside of the glass much faster. Also make sure that the inside air recirculation switch is off so that fresh, outside air with lower humidity can come into your vehicle. Pro tip: If the car door lock is frozen too, try putting a little hand sanitizer or Vaseline on the key, or spray some de-icer in there. You can also try heating the key up with a lighter, but don’t do this if there’s any plastic on the key. Never force the lock — you could break off the key. Once the ice starts to soften from the heat of the defrosters, you can use an ice scraper to clear your windshield and the rest of the glass. To make this as easy as possible, get a scraper that’s made of durable material and is large enough to do the job quickly. A good ice scraper should be comfortable to grip, with a long enough handle to reach every part of the glass. De-icing solutions will help speed up the melting process. Some of these solutions are similar to winter-strength windshield washer fluid, combining alcohol and water. You can purchase these in ready-to-use spray cans or bottles at your local auto parts store or online. You can also make your own, by mixing 1/3 water and 2/3 isopropyl alcohol in a spray bottle. Spray plenty of it on the ice, let it react, then scrape the slush off. This mixture will work at temperatures down to 5 degrees Fahrenheit. Another de-icing formula you can try uses a combination of 3/4 vinegar and 1/4 water. Spray it on your glass the night before the ice storm hits. It won’t melt ice, but it can keep it from forming in the first place. Just keep in mind its freezing point is around 28 degrees, so it won’t work if it’s extremely cold. Vinegar de-icer is also not recommended for chipped or cracked windshields, as it can make these dings worse. Once you have removed the ice and the windshield is warm, get inside and use your wipers and windshield washers to clear any remaining residue. Be sure to use washer fluid that is formulated for sub-freezing temperatures. Just be sure you don’t use the wipers too early. If the ice is still stuck to the glass, it can damage your wipers to the point that they won’t work well anymore. If the ice is a total surprise, you might not have any of the tools mentioned above to unfreeze your car. You’re still better off waiting for the defroster to kick in and melt that ice. But if you absolutely have to improvise, there are a few things you can try. Instead of an ice scraper, you might be able to use a credit card — just be careful not to break it. If you have CD cases in your car or a wooden or plastic ruler in the house, those could work, too. To prevent fog on the inside of the glass, try rubbing shaving cream, half an onion or half a potato on it. Or fill a sock with kitty litter, tie it off, and stick it on the dashboard. It’ll absorb moisture. Is your European or Lexus automobile in need of a good mechanic? Schedule an appointment today. Source: Used with permission from our partners at Repair Pal.